‘My salad days, When I was green in judgement’ are my most favourite lines from Shakespeare – yet again, from ‘Anthony and Cleopatra’ (I,v,607). They are spoken by Cleopatra as part of a discussion with her handmaiden, Charmian, about Anthony. Cleopatra is passionately in love/obsessed with Anthony, sending him messages daily, and reflects that she never felt like this about Caesar. Charmian disagrees and reminds her mistress of her past passion for Caesar. But Cleopatra is having none of it and turns to her and utters the line above. What Cleopatra is saying is that her feelings for Caesar were immature as she was young at the time, in her ‘salad days’, and that her judgement was childish, ‘green’. There is just something so wonderful about using green to suggest youth and inexperience. It brings to mind images of new shoots, spring awakenings, pre-burgeoning buds – of freshness and potential growth as yet unsullied by cynicism or dashed dreams. No other colour would paint Shakespeare’s desired message so specifically. If Cleopatra had been yellow in judgement, it might suggest that her judgement was aged or cowardly, if red, perhaps angry or murderous, if purple, perhaps superior or doctrinal, if black perhaps deathly or with malintent in mind. No, it could only be ‘green in judgement’. Shakespeare uses green a total of 119 times in his works and most of these are literal colour descriptions. But there are other examples of green being used to suggest immaturity. In ‘Hamlet’ Claudius asserts that the memory of his brother’s death ‘be green‘, meaning that his brother’s death remains fresh in his mind. Later Polonius accuses Ophelia of speaking like ‘a green girl’, like an innocent, for believing Hamlet’s promises. In ‘Romeo and Juliet’, Juliet talks of Tybalt, ‘yet but green in earth’ – in other words, recently buried. Shakespeare also uses green in a form with which we are more familiar – in conjunction with jealousy. This is the opposite to the fresh and the new. Instead it is a reference to the unnatural, to putrefying bodies; if your body starts turning green you can be certain that all is not well! In our Sci-Fi obsessed culture green is the favourite colour for aliens and I am sure it has been chosen for its distinct inhuman associations. 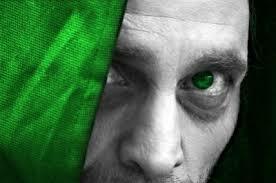 Similarly, Shakespeare employs the unnaturalness of human green to suggest the other we become when in the grip of jealousy – ‘green-eyed jealousy’ in ‘The Merchant of Venice’; while in ‘Othello’, the poster play for jealousy, Shakespeare takes the inhuman green a step further until jealousy becomes the ‘green-ey’d monster’. And as with so much of Shakespeare’s fabulously creative use of language it remains in common parlance today. But back to Cleopatra’s Salad Days. 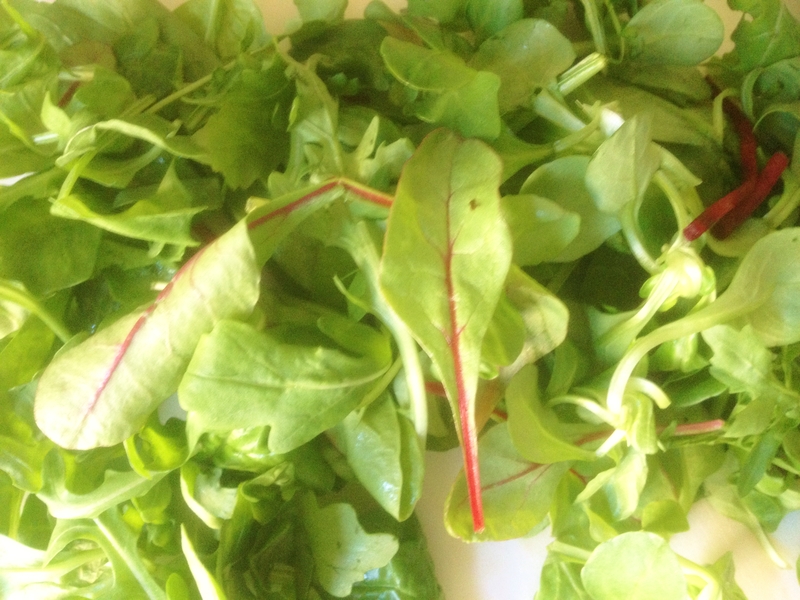 Salad seems such a modern term to me, but it stems from the Latin, ‘herba salata’, and refers to the salt in salad dressings in Ancient Rome. So it would not have been an unusual term for Shakespeare to use and reaffirms the link to green. 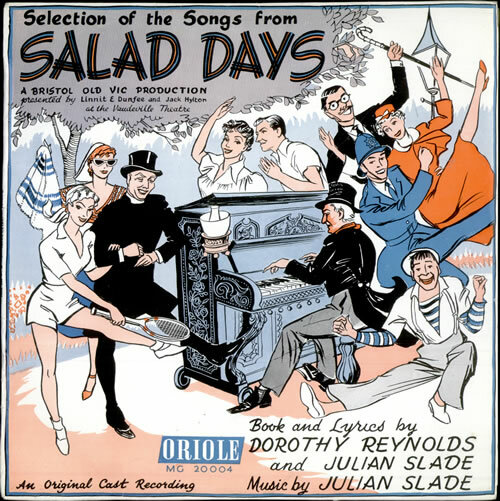 At which point I have to fondly mention the barking mad musical, ‘Salad Days’, introduced to me by my Grandmother. I don’t know if you know it, but this 1950s creation centres on a piano that makes people dance and is full of ridiculousness. The title refers to the yearning of the central characters to be back at university – know that one … Alternatively you might know it in its Monty Python format, where the upper class lovelies all die in a Sam Peckinpah-esque bloodbath to the strains of ‘Look at me I’m dancing’. Hi Francesca, Your “colour” posts are such enjoyable reading – they have made me want to get my Shakespeare books out again!!! Thank you so much!! Thank you, Anonymous! That’s great to hear! The power of The Bard to paint with language just never wanes does it? My next post is to be SHAKESPEARE and BLACK, WHITE and RED all over. I hope you will enjoy that one too.